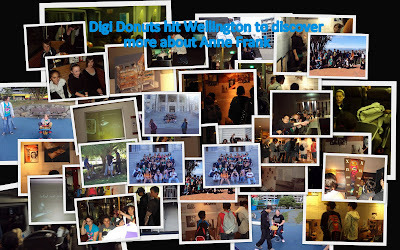 To help us understand the impact of Anne Frank's writing we went to Te Papa to have a look at the exhibition. For many of us it was the first time on a train, first time at Te Papa, first time on a cable car. We had a blast. We have learnt so much about the impact of Anne's writing on the world, and what life was like for her. We have been busy creating documentaries of our discoveries. Watch this space and our e-portfolios. It was fun!!! My highlight was going on the cabel car. We learnt so much about Anne Franks life and making our documentaries. I wish that we can go on the trian again and go to Wellington or visit another place. Wow it was the best thing to learn about.I am now working on appreciating what I have. That was so cool going on the cable cars and going to te papa to see the Anne Frank exsabition. Wow what an awesome day room 22 i had the time of my life. Cant wait to see your documentary.